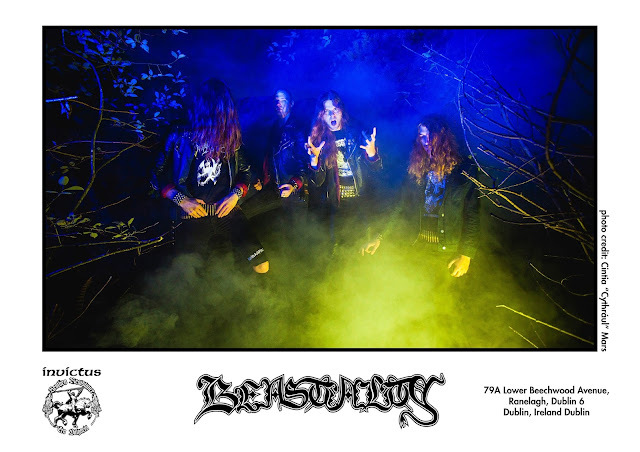 BEASTIALITY premiered the track "Witchblood" at Decibel Magazine website. Check it out!!! Swedish Old-School metallers BEASTIALITY revealed more details of the upcoming debut full-lkenght "Worshipers of Uneaerthly Perversions", to be released on December 15th, through Invictus Productions. BEASTIALITY strikes again! Great news comming from Invictus Productions as the label announced the release date (December 15th) for the debut album by Stockholm black/speed thrashers. “Worshippers Of Unearthly Perversions” is the title of the album that will include a new version of “Apocalyptic Storm”, that serves as advance track (check it out below), it differs from the version featured on the "Evil Spells" Compilation released in 2014, the two tracks from the “Demons From Nifhel” promo ("Stanken Av Uråldrig Död" and "Shadowside Path") plus five brand new tracks. So listen to “Apocalyptic Storm”, invoke your demons and you may also want to check our interview with them made a year ago, going to the interview section, or better and easier, click here.